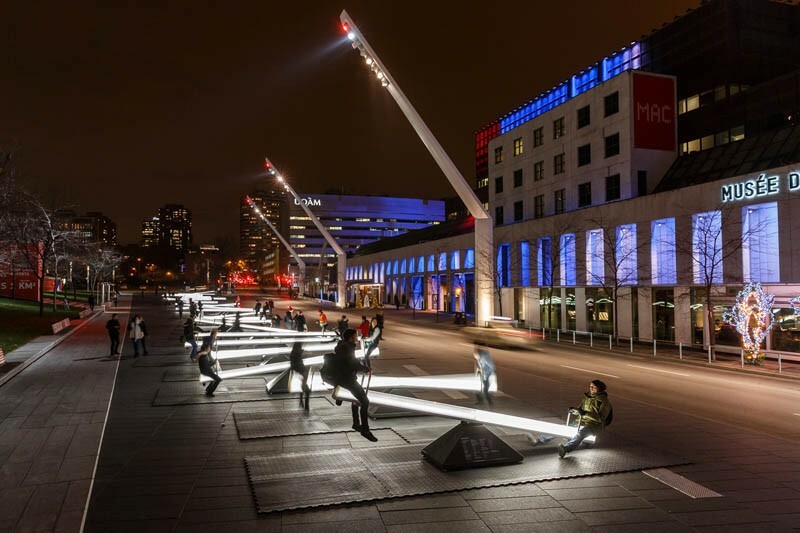 In Montreal, Canada, the sixth annual edition of Luminothérapie is happening between December 10th, 2015 to January 31st, 2016. 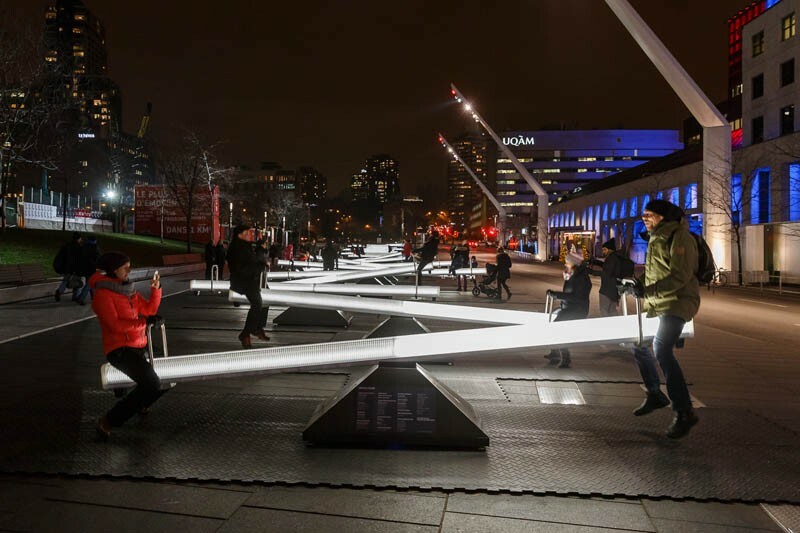 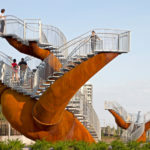 As part of the festival, there are 30 seesaws of various sizes, that produce light and sounds. 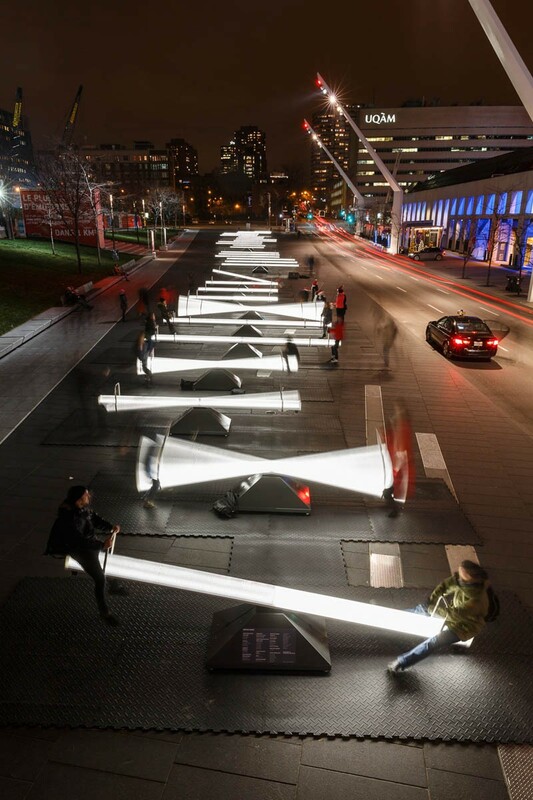 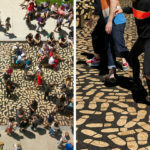 To activate them, one person sits down on each end. 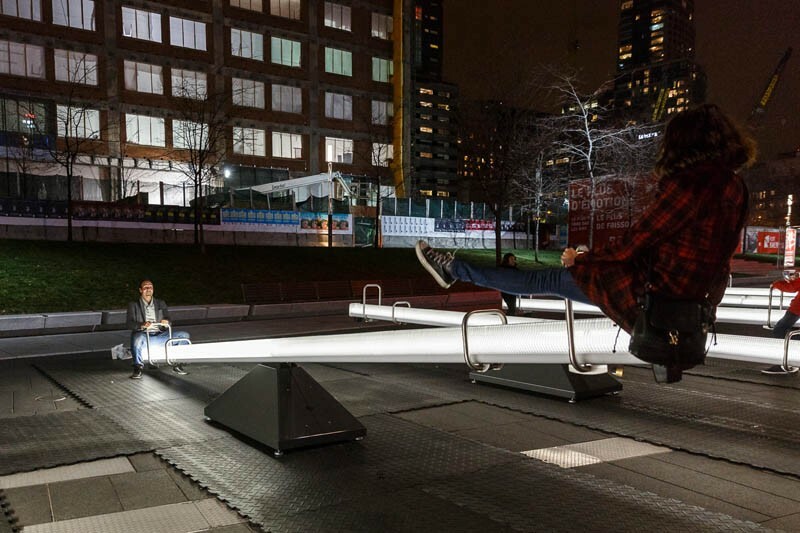 The seesaws, fitted with LED lights and speakers, then produce a series of beautiful sounds. 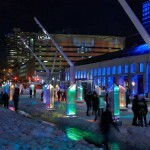 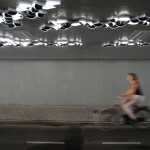 The installation was designed by Lateral Office and CS Design, in collaboration with EGP Group.